Elemis is one of those skincare brands that you can trust. I enjoy their products as their textures and scents are very luxurious and spa-like. You know your skin will get a good pampering every time you use them. Beauty Flash, an online beauty retailer, sent me a sample set of Elemis’ hydrating range, which I couldn’t wait to try out. The products included were the Rehydrating Rosepetal Cleanser, Gentle Rose Exfoliator, Hydra-Boost Day Cream and Cellular Recovery Skin Bliss Capsules. Starting with the Rehydrating Rosepetal Cleanser, the first thing I noticed was the heavy rose scent, which won’t be for everyone, but I found it quite pleasant. It contains Vitamin E and F, as well as Rosepetal Flower Water to cleanse the skin without stripping it. The handy pump dispenses the cream cleanser, and it is applied to your dry face, before washing off. It almost feels like a moisturiser in consistency, and also doesn’t foam. I use this as my second cleanse because it is too perfumed to use near my eyes to remove mascara. Next up is the Gentle Rose Exfoliator; this is a lovely gel which has tiny Jojoba scrubbing beads suspended in it. It does what it says on the tin and provides a very gentle scrub, perfect for dry and irritated skin. This isn’t as powerful as some chunkier scrubs usually are, but it’s gentle enough to use every day. To finish the routine, I use the Hydra-Boost Day Cream, it’s a cream formula that leaves the skin feeling soft and smoothed, perfect for applying makeup over. It’s nourishing but isn’t too thick for day time use. 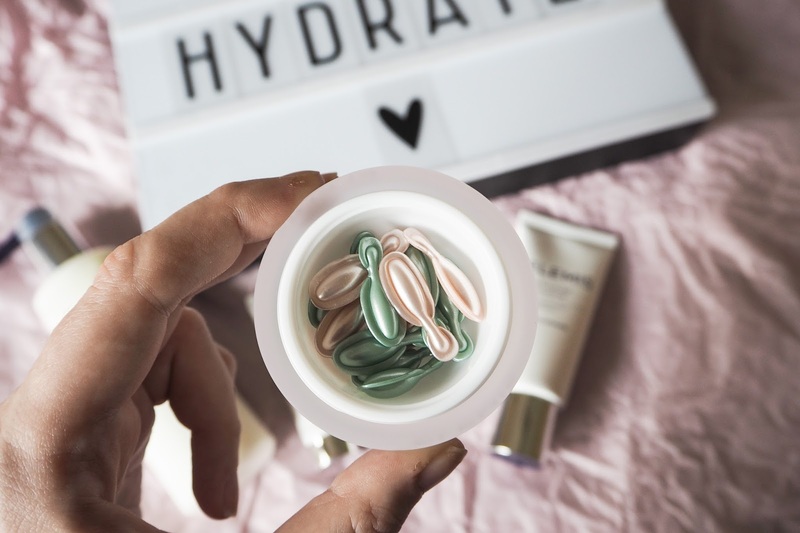 If you want to amp this hydrating routine up, you can add in the Cellular Recovery Skin Bliss Capsules. The pot contains green and pink capsules, which you break to release the product in a small, perfectly sized dose. The pink ones are specifically for the day time and the green ones are for night, as they contain lavender. These capsules can be a tiny bit messy, so be careful when trying to pull the top part away. I love how the oils feel on my skin and they leave my face so nourished and hydrated. Beauty Flash, who stock popular skincare brands such as Elemis, Dermalogica and Decleor, and I have teamed up to give 1 lucky winner a £50 voucher to spend on their site. If skincare isn’t your thing they also stock Beauty Blender and NEW CID in the makeup section, as well as Moroccan Oil and Kerastase in haircare. To enter my £50 Beauty Flash gift card giveaway, please use the Rafflecopter form below. Open to UK entrants only. Elemis skincare looks so luxurious! Never heard of beauty flash before but browsing their site it seems like they have so many fab brands! I love Elemis! So soothing, especially when my skin is dry as a bone in winter! Love elemis and thanks for a fab giveaway! elemis is fabulous and the results outstanding thank you for a lovely giveaway. 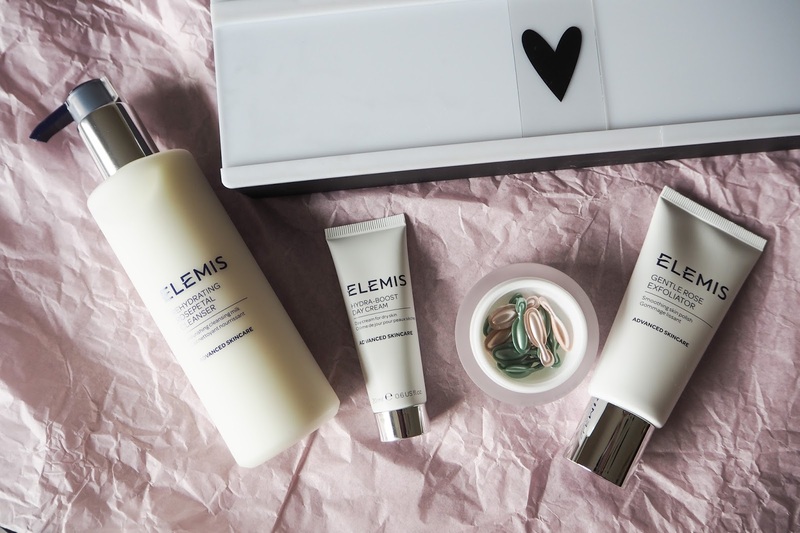 I love Elemis lovely giveaway! I've been using the Elemis apricot toner since it's supposed to be such a classic. Only minor issue is I can only use it when my skin is not irritated at all. Very refreshing scent. Fab! Another fab beauty site for me to browse through. 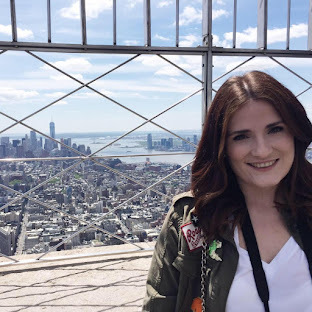 Elemis were the first beauty products I tried properly and I fell in love. It's a great beauty website, a real one stop shop!